President Goodluck Jonathan has said he remains the most documented president in the history of Nigeria, due largely to the works of his Special Adviser on Research, Documentation and Strategy, Mr Oronto Douglas. The President was paying tribute to late Douglas at the end of a commendation service in his honour at the Saint Peters Church of Nigeria, Anglican Communion, Yenegoa, Bayelsa State. He said that Oronto was a dedicated and committed special adviser who stood by him till the end, without any sign of betrayal, adding that Oronto was a dependable ally who will be missed at all times. 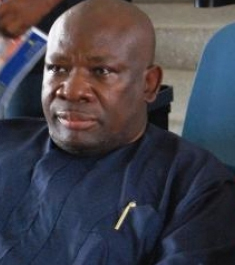 Bayelsa State Governor, Mr Seriake Dickson, in his tribute, extolled the selfless life Oronto Douglas lived and promised that the legacies he left behind should not be allowed to die. Governor Dickson, who said that the experience and vast contacts of Douglas Oronto would be greatly missed, called on well meaning Nigerians to rally round the Oronto family to ensure that they do not suffer. He also disclosed plans to give out scholarships up to university level to his children, as a token of appreciation of his life of service to the people of Bayelsa State. As part of the tributes, children from the EK Clerk Preparatory School founded by Oronto Douglas, made a presentation in honour of their founder. Douglas Oronto was a foremost environmental activist renowned for his intellectual articulation of the Niger Delta struggle. He died on April 9, 2015, four months to his 49th birthday.